We specialize in website development Brockton Massachusetts. In 10 years of experience we have worked with many clients in the South Eastern Massachusetts area including surrounding towns; Easton, Stoughton, Foxboro, Sharon, Mansfield, Braintree, Avon. 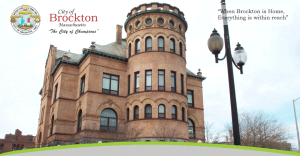 We can help you get an edge up on your Brockton area competition with modern website development.